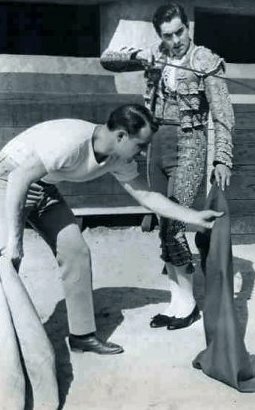 During the filming of the movie in Mexico City, the director discovered a young American, Oscar "Budd" Boetticher, who was training to be a matador. He hired him as a technical consultant. Boetticher, who taught Tyrone Power how to appear convincing as a bullfighter, said, "I showed Tyrone Power how to do the capework, but he never actually got near a bull! He wanted to but the studio simply wouldn't let him. They said he was too valuable a property." 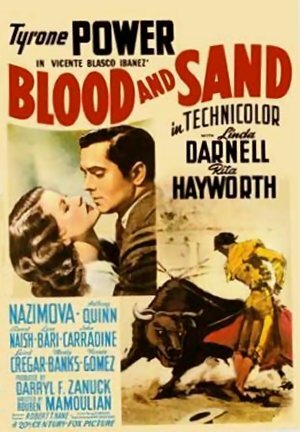 Boetticher gained valuable filmmaking experience by closing observing the director of Blood and Sand, Rouben Mamoulian and the film editor, Barbara McLean. He worked for awhile as a studio messenger and assistant director but went on to become a director, mostly Westerns and a couple bullfighting movies. Ernest Palmer and Ray Rennahan deservedly won the 1942 Oscar for Best Cinematography, Color. Color also played an important role in the casting of the role of the temptress in the movie. Carole Landis had been Darryl Zanuck's first choice for the role. 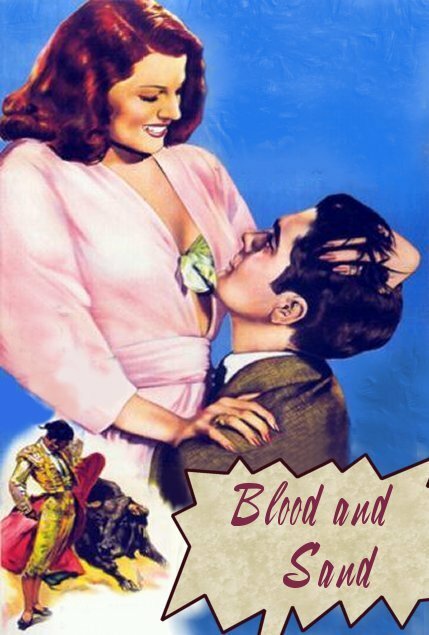 Mamoulian, however, was determined that Dõna Sol would be a redhead, to represent her lustfulness. Landis turned down the role because she had built up her image as a blonde bombshell and feared that it would ruin her career. The role of Dõna Sol turned out to be a starmaking role for Rita Hayworth, who had been in a number of movies yet hadn't gotten the role that would catapult her to stardom.